Patti Chipman received her B.A. in Education from the University of North Dakota and began her career in teaching at the elementary school level immediately upon graduation. She subsequently served as Board Vice Chair at St Charles Catholic School for 10 years and was also Chair of the Board’s Building and Grounds Committee and an active member of the Board’s Hiring Committee. During her tenure, she was instrumental in the implementation of the school’s all-day, every-day kindergarten program and oversaw several facility capital improvement programs. 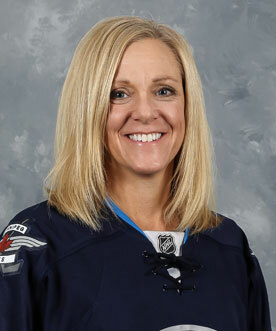 Patti has actively participated in numerous True North Youth Foundation (formerly the Manitoba Moose Yearling Foundation) initiatives including the leadership of the Moose Children’s Carnival for several years.